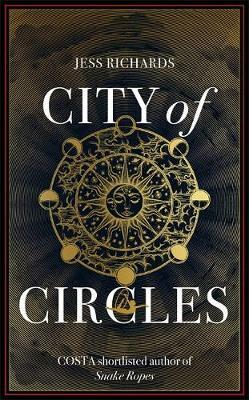 Once I began reading City of Circles, it was a struggle to put it down - I was torn between two desires: devour or savour? I chose to devour, but happily, the writing is so gorgeous, so vivid, that it's still working its magic inside me. Love, identity, home, and family are all here, wrapped up in an extravaganza of a novel. CITY OF CIRCLES is an entrancing love story between Danu and Morrie, two circus performers, and Danu's Lewis Carroll-esque odyssey through the magical city of Matryoshka, that ends with a heart-warming yet bittersweet twist. Danu is a tightrope walker who is mourning her parents, after a disease has ravaged the circus where she grew up. Her mother has entrusted her with a locket that hides a secret. Over the years, Danu pushes away her grief and develops elaborate and successful high-wire acts with Morrie, a charismatic hunchback who wants to marry her. When the circus returns to Danu's birthplace, Matryoshka, Danu is enchanted by the temples, spice mists, and pleasure seekers within the intoxicating outer circle district. Here, she finally gains the courage to open her mother's locket, and discovers the name of a stranger who lives behind the locked gate of the Inner Circle. Fated to remain in Matryoshka, Danu attempts to resolve this mystery . . .
Will she and Morrie ever be reunited, or will something far more unexpected be waiting for her in the mysterious heart of the city?